The Coldwell Banker Parkway Pedal is a road ride that takes place on Utah’s Legacy Parkway Trail starting in Farmington, on September 9, 2017. The ride raises funds for The Autism Council of Utah. We asked event organizer John Winchester a few questions about the ride. Cycling West: Tell us about the ride. Where does it start? What are the distance options? What are the courses like for each distance? Parkway Pedal: The Parkway Pedal is now in its third year as a casual, community-centered ride for all skill levels. The ride will start at 9 a.m. at the Legacy Event Center in Farmington, UT, just west of Station Park. The ride is an out-and-back ride and distance markers will be set up every five miles. We have families that want to ride out a half mile with their kids, and we have riders that want to make the entire 42-mile round trip to North Temple. 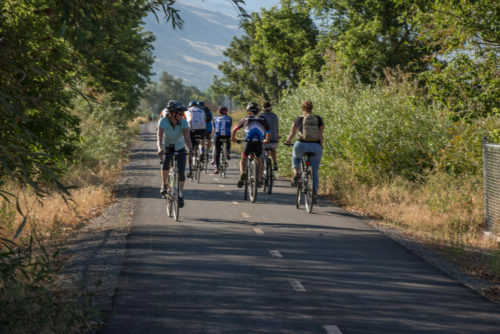 Last year, a few groups went past Salt Lake and made a 75 mile ride along the Jordan River and Legacy trails. Our goal is to make this ride accessible and enjoyable for all. The purpose of The Parkway Pedal is to bring the community together to get outdoors, enjoy the beauty of the valley, and raise money for a worthy cause. CW: The ride raises funds for the Autism Council of Utah. Please tell us more about the organization and the importance of their cause. PP: The Autism Council of Utah is an independent organization founded and operated by parents of Autistic children. The group provides access to resources and responsible information for individuals of all ages who have, or are affected by autism, or related conditions. They also find statewide partnerships to collaborate on special projects, research, and training. It can cost a family with a child on the Autism Spectrum $50,000 or more each year for learning resources, schooling or support and the donations we raise go directly to Utah families in need. Autism is a brain disorder that primarily affects communication, social skills and behaviors. Many people with autism have little or no eye contact and seem to be uninterested in relationships. The autism spectrum is huge and it affects everybody differently. Children with Autism often times need special learning tools or classes to help them learn to work differently in society. Today, it is estimated that 1 in every 54 children is diagnosed with autism, making it more common than childhood cancer, juvenile diabetes and pediatric AIDS combined. An estimated 1.5 million individuals in the U.S. and tens of millions worldwide are affected by autism. CW: There will be a festival in conjunction with the ride. What sorts of activities will there be? PP: The first year of the ride, we wanted to have an option for those who didn’t, or couldn’t ride, to still have a chance to support the cause. We had bounce houses, face painting, food trucks, live music, etc. after the ride. It was a lot of extra work and took a lot of volunteer efforts. Last year, we discovered that the SaharaCares Foundation already hosts a huge carnival and it’s also in support of Autism. They have over 3,000 attendees for their carnival and it’s all free of charge – so we support them with volunteers but we let their foundation plan and organize that side of the day. This allows Coldwell Banker to focus on the ride and making sure that everything for the riders is top priority. Register for the ride and at the finish line, there will be 3,000 cheering fans, many of whom will be directly affected by the generous donations of the riders and sponsors. CW: Is there anything else that you would like to add? 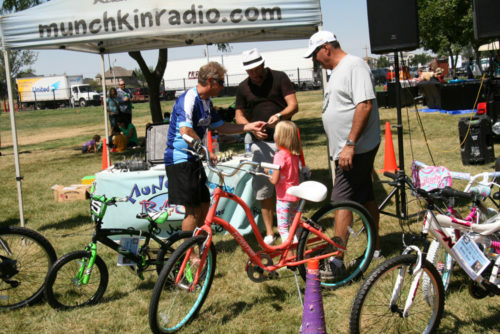 We have incredible Sponsors including Doug Smith Subaru, Yesco, Axiom Financial, Bingham Cyclery and many local vendors. We will be auctioning four bikes and as well as many other prizes at the carnival. For those who can’t make it out but still want to support the charity, we accept donations at parkwaypedal.com. That being said…this is the year we focus on the riders. We have steadily grown in our first two years, mostly with Coldwell Banker agents, families and staff support, but this is the year we want to see large community support. It’s fun and it’s for a great cause.